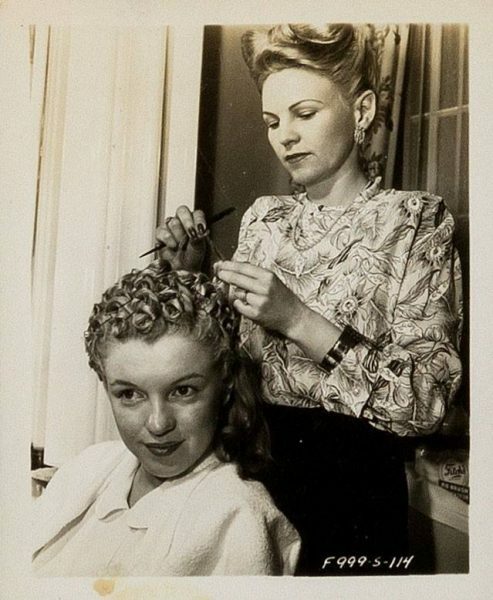 Two signed photos were the highest sellers among the Marilyn-related lots in the Entertainment Signatures sale at Heritage Auctions yesterday. A Frank Powolny headshot (from the same session which later inspired Andy Warhol) sold for $13,750, and a classic pin-up image by Earl Thiesen fetched over $9,000. A restaurant menu from Trader Vic’s in Honolulu, signed by Marilyn and Joe DiMaggio in 1954, reached a top bid of $6,875. 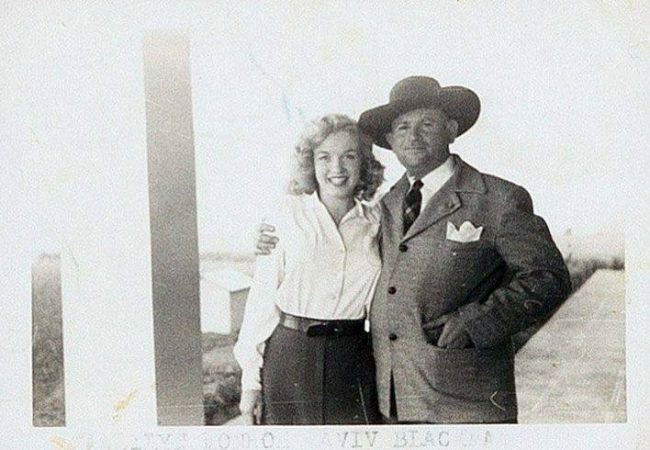 Among other popular lots were sets of rare photos showing a young Marilyn with security guard Aviv Wardimon (aka Blackman) on the Fox lot in 1947. You can see more photos from the auction here. 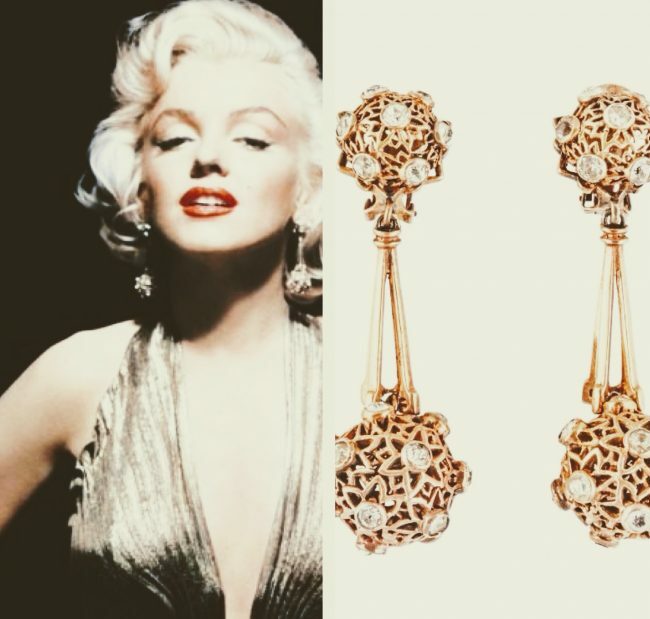 Two pairs of earrings worn by Marilyn in Frank Powolny’s iconic publicity shots for Gentlemen Prefer Blondes will be auctioned on November 18, as part of a sale from the estate of legendary jewellery designer Joseff of Hollywood at Julien’s. Also coming up this month is the Entertainment Signatures sale at Heritage Auctions on November 11. 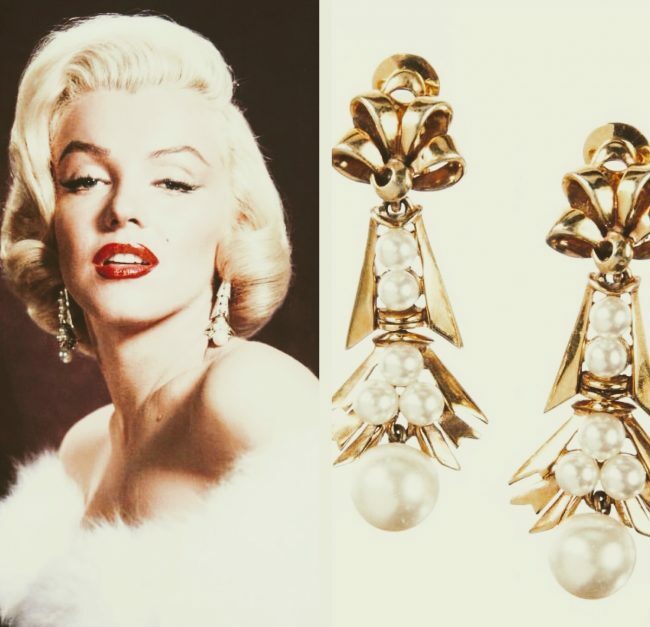 UPDATE: The gold-plated earrings have sold for a staggering $112,500; while the pair with simulated pearls fetched a none-too-shabby $81,250. 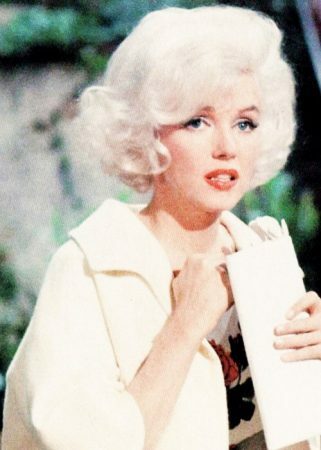 Marilyn’s annotated script for her final, incomplete movie, Something’s Got to Give, has been sold at the Nate D. Sanders Hollywood Memorabilia auction for $25,000. While reporters have poked fun at her minor spelling errors – such as ‘leeding him on’ – her comments are often perceptive. ‘Needs more jokes’, she remarked – an opinion shared by others during this troubled production. If this script looks familiar, that’s because it sold at Julien’s only a month ago for $10,240. 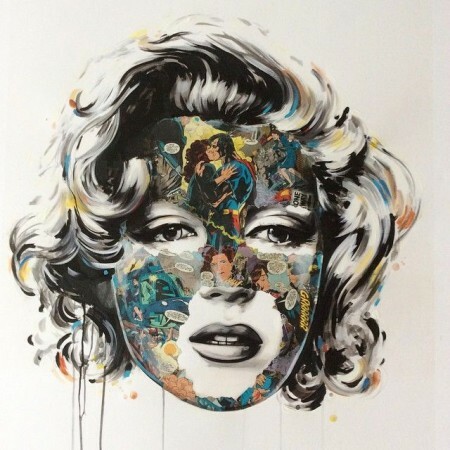 Other items from the event have also been spotted on auction sites like EBay, confirming that Marilyn’s personal property is becoming a magnet for investors. A disused grave marker from her crypt, also sold in November, attracted no bids this time around. This copy of the script is dated March 29, 1962. 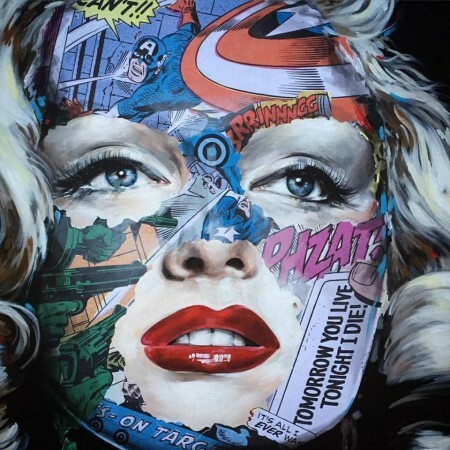 Another version, including revisions dated April 23 and 27, and with eighteen pages annotated by Marilyn, went unsold, after being purchased at Julien’s last month for $12,800. 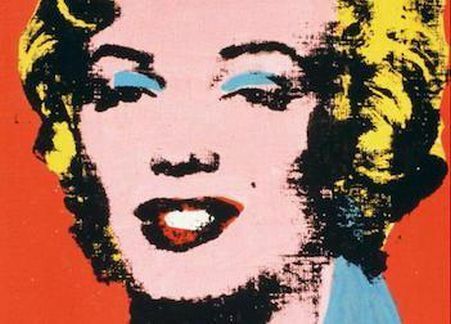 And in other news, a Frank Powolny portrait of Marilyn – signed by the lady herself to ‘Jimmie’ – was sold at R.R. Auctions for $24,959 this week, as part of the Tom Gregory Collection.